Matt Coleman explains the business of logging railroads and shows prototype operations by region. Photos of locomotives and other logging-line equipment and structures set the stage for modeling logging scenes and designing a logging layout. 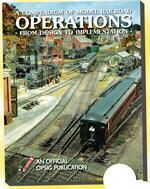 Matthew Coleman, a frequent contributor to Model Railraoder magazine, has been a model railroader most of his life. His father loved steam and used to take Matt trackside to watch locomotives before he could walk. The Coleman-family enthusiasm for trains may be genetic; Matt's brother George Sebastian-Coleman is also a modeler and served on the staff of Model Railroader in the 1990s. Matt has been an engineer, scientist, and technical editor in the forest products industry for 25 years, and was the Editor and Publisher of the TAPPI JOURNAL, a scientific publication serving the forestry sciences, paper, and packaging industries. Matt also was managing editor for R-Robb Ltd. Narrow Gauge Pictorial series. 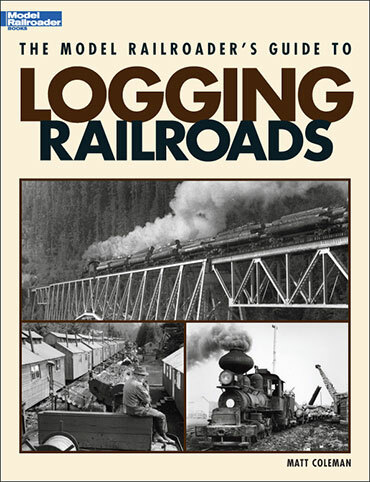 Matt's primary modeling interests are logging and forestry railroads, foreign and domestic. He has a deep passion for the Denver & South Park narrow gauge in Colorado, Maine's Sandy River & Rangeley Lakes RR, and an equally incompatible love for the AT, especially the gas electric operations in the Southwest and West. Matt has been on active military duty since late 2001, which has provided the chance for him to see railroads and forestry operations in unique and interesting environments in many parts of the world. He is married to the loving and patient Robin; they have four children.